when what you really need is sleep. with appliquéd teapots for pockets. yowling, marking the door frames. and twitch, dreaming of rabbits. 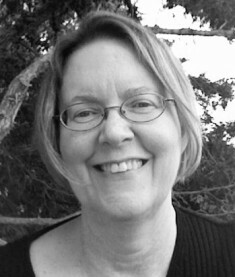 Pat Hale is a Connecticut poet with fond memories of her childhood in western Pennsylvania. She has loved to read and write since she was a little girl. Pat’s award-winning work has appeared in many journals and she facilitates a writing group modeled on the Amherst Writers and Artists method. Reality, I like to say, is always something else. What a delightful poem. I love it! What you see may be quite different than what really is. Great poem! what a great poem! a perfect picture of both the author and the dog.